We rarely go to places where there is total silence. In our immediate area, if there isn’t the sound of airplanes passing overhead then you can hear busy traffic on a nearby road or trains hooting and clanging as they make their way along the tracks. So it makes a welcome break to go anywhere where the only thing you can hear is the wind rustling through the leaves or the birds twittering in the trees. That, for us, is comparative silence. Here are just a few of the places where we have enjoyed such a respite from the daily clatter of life. 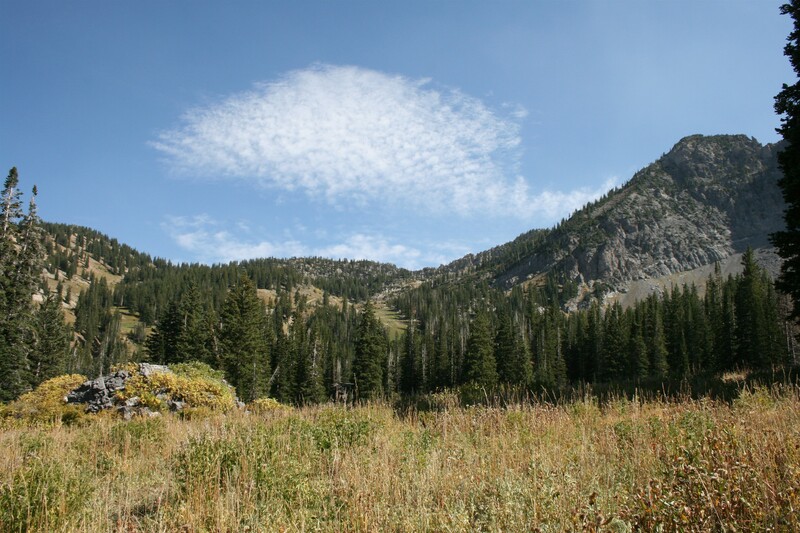 Wasatch National Forest near Alta in Utah. 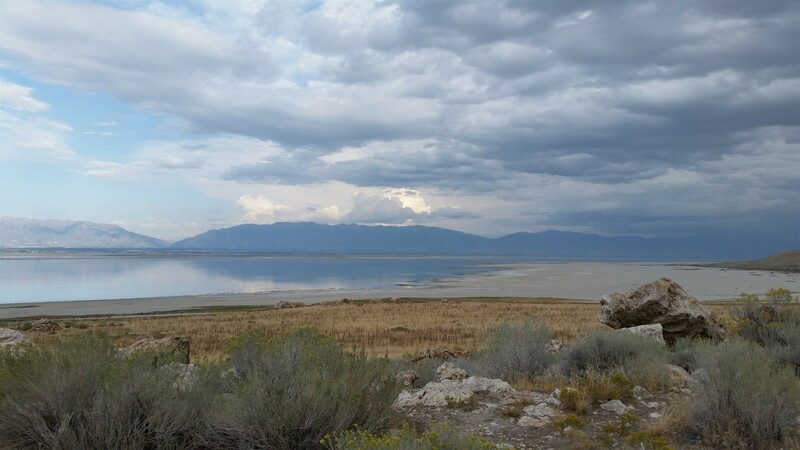 Antelope Island near Salt Lake City in Utah. Off-season at Heritage Hill State Historical Park in Green Bay, Wisconsin. Snowy Range scenic byway in Laramie, Wyoming. Some stunning photos depicting silence beautifully! Silence everywhere here. Love the clouds in the first and second pictures. Thank you! Everything here in Chicago is frozen too, although there may be a slight warm-up this weekend. 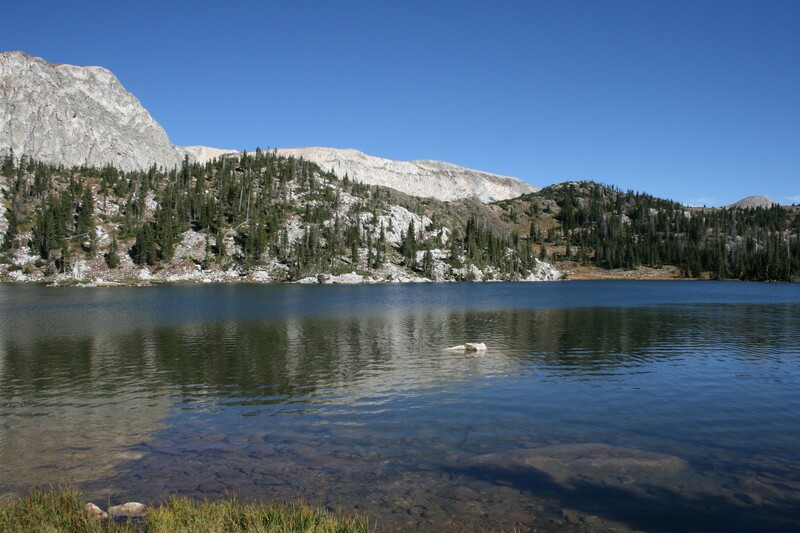 I’ve spent many an hour hiking the Wasatch mountains and birding on Antelope Island. They are among my favorite places in the world. Thanks for remind me. You’re most welcome, Pat. I’m glad they brought back happy memories. Really like the contrasting colors in the Wisconsin pic and the Snowy Range biway photo brings back memories. I must admit I have mixed feelings about being in such places. It’s very relaxing but sometimes the silence can be almost stifling. I guess we are so used to hearing the bustle of life where we live that it gives us a sense of security knowing there are other people and things going on close by. Lovely set of images, Sue. They speak silence. Thank you! It’s nice to be able to share these pictures instead of just consigning them to a box or some long-forgotten computer file. Thanks for visiting. It’s good to be in touch again, Sue. And yes, it is good to share. Word press is an excellent medium for that. See you again soon. I love the picture of the church. The other photos are of beautiful places and you’ve captured them amazingly well. 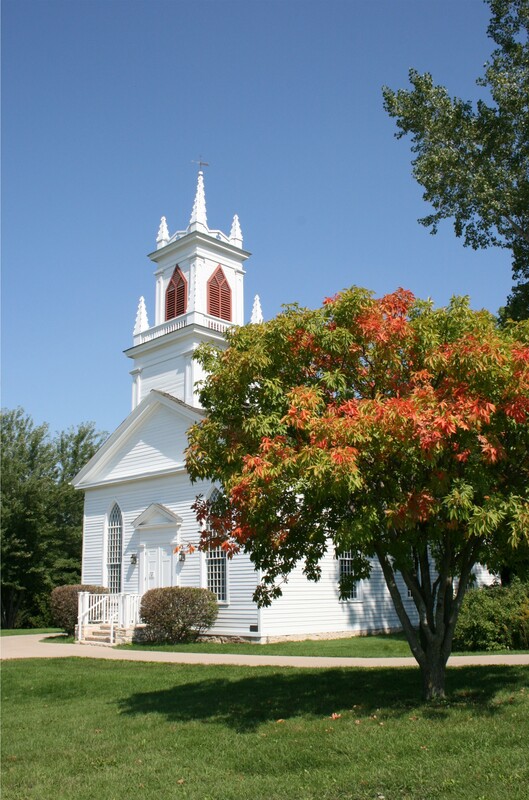 But, that church is practically five minutes away, cool to see it in another persons blog! Thanks, Chris! I think the church was probably the best part of Heritage Hill, at least from a photographic standpoint. I’d like to go back to the park a bit earlier in the year next time. I love the way the clouds settled in the sky in the first photo. I don’t think I even noticed the clouds when I took that shot but while I was looking through the images I realized just how beautifully they fit the picture. Thanks for visiting, Laura! All the photos are lovely- the church photo is special..silence is golden! Thanks, Lletty! I took a lot of pictures of the church that day but I think this one was my favorite. Oh that church is my favorite! What a beauty! And just that little hint of autumn color in the tree set it off nicely. Thanks for visiting.